Over a lifetime, a person may author many wills, each appropriate to the circumstances of her life at the time she executes it. As she passes through the corridors of life -- marries, has children, divorces or has grandchildren -- the thoughtful testator revises her bequests. Each will is valid when executed but revoked by the subsequent will. Only the will in effect at the time of her death becomes effective. Probate is the process by which a court oversees the administration of a will. 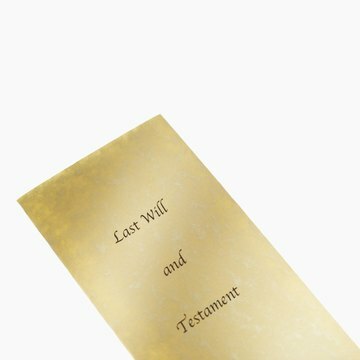 Typically, the executor -- named by the testator in the will -- files the last testament in probate court after the testator dies. The executor collects assets, pays bills and distributes property according to the terms of the will. The court reviews the process to assure compliance with law. Probate generally takes six to nine months to complete, although large estates and will contests extend the proceeding. Most court documents are public: The court clerk generally allows anyone to view documents in court files and to make copies. Some court records, however, are so sensitive that state statutes order them sealed. In Connecticut, for example, all court documents recording conversations between a psychiatrist and patient are automatically sealed. While probate files are not among the matters sealed by statute, a court, upon proper motion, orders the records sealed in certain cases, such as celebrity wills. A probate file contains not only the last will and testament of the deceased, but all documents filed in the probate such as executor reports, lists of bills paid and assets distributed. Probate files also include will objections and will contest proceedings. Members of the public can access both current and closed probate files.